This article focuses on the colophons of Francysk Skaryna’s Prague editions from 1517 to 1520. A comparative analysis of them indicates that the publisher was meticulous in identifying the origin of each colophon edition. 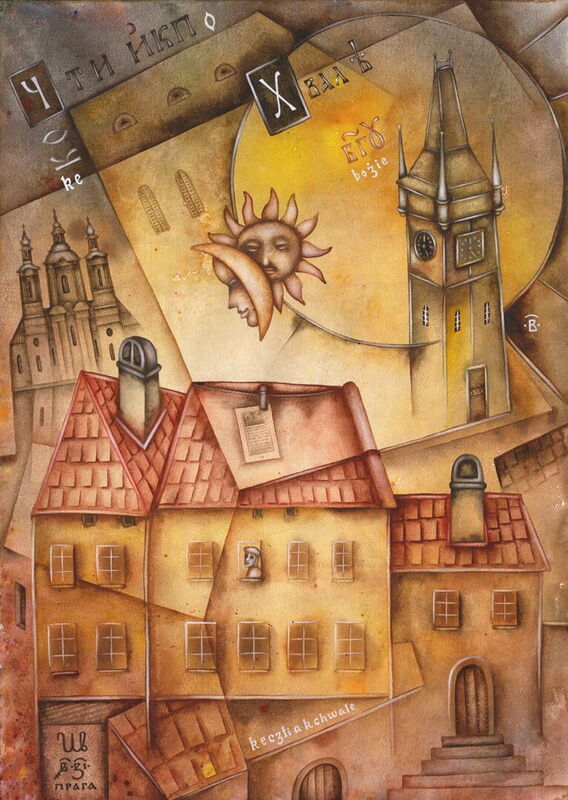 The phrase, «in the Old City of Prague» which Francysk Skaryna used until August of 1518, was eventually amended to be known as, «in the Great City of Prague». This amendment was predetermined by actual historical events such as the unification of the Old and New Cities into the Great City of Prague on the 30th of August 1518. Other examples of influence of this historical situation on the illustrative style of the book are traced. Particular attention has been paid to locating the printing house where Francysk Skaryna’s colophons were first created. The printing of Skaryna’s Ruthenian Bible in the year 1519, as an example, took place in a rented printing shop that was owned by the merchant Severin. After the death of his father, Pavel Severin could break the lease agreement, thereby, ending book publishing activities of Francysk Skaryna in Prague. Arguments have been made that Skaryna was not the only tenant of the printing shop. At some point during the years of 1517 to 1519 Skaryna met with «The printer of the Prague Bible», and the Jewish book-printer, Gershom Cohen, whose high-quality books possessed many stylistic and polygraphic singularities. Special correlation at the level of the colophons is traced between the printer of the Prague Bible and Francysk Skaryna. The colophon of the Prague Bible of 1488 had a serious and multilateral influence on the paratext of the Ruthenian Bible. This allows us to conclude, that during his work on the biblical text, Francysk Skaryna proceeded not from the palaeotype of 1506 (Czech Bible / Biblij Czěská, w Benatkach tisstěná. Venice: Petrus Lichtenstein, 1506), as it is still believed, but from the Prague incunabula of 1488. The first edition of the Bible in Czech (and in general in the Slavic language), was perfectly known and readily available to Skaryna, due to the number of printed copies that were available in Severin’s printing shop and by the established link with the printer of the Prague Bible. 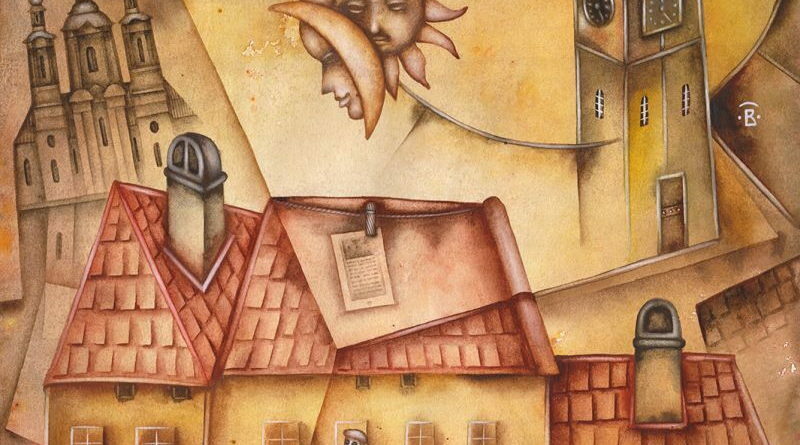 Additionally, this article describes the fate of the house «At half a golden moon», where Severin’s printing shop was located and had been functioning from 1484–1488 and for many decades after. A few preserved drawings and images allow us to restore the workplace of the printing house of the end of the 15th and of the first quarter of the 16th centuries.